Owning a luxury yacht is a dream for many. And thanks to the diversity of boat styles on the market, this dream is becoming more and more accessible. Indeed, the price of the boat depends essentially on its size, all its equipment, the model and its layout. However, if sales between private individuals seem to be rather attractive, the sale of luxury boats by a professional will protect you from unpleasant surprises. Just like buying a property, you should consider a few points before you start as it is a long-term acquisition. It is therefore important to detail your needs, your budget and the style of boat that will really please you. It is from these different elements that you will identify the boat that suits you from a wide range of ships on the market. Of course, it is preferable to choose your type of boat according to your level of yachting experience. Turning to a specialist in luxury boat sales is even more interesting if this is your first purchase. This professional will be able to guide you very well according to what you really need. On the market, it is known that you will have two choices of purchase: second-hand and new. And unlike the purchase of a used car, the purchase of a used luxury yacht does not have the same meaning. The price is fixed according to its layout and it is not uncommon for a second-hand property to cost more than a new one. A luxury yacht is more of a floating villa than a boat intended to cross the oceans. This prestigious type of ship is primarily dedicated to the owner’s leisure activities and is not really intended for navigation as such. That being said, you can enjoy a sea trip or make a small crossing on board such a property and find your little piece of paradise to relax in. This is its advantage over a luxury villa or hotel. A luxury yacht promises you a pure moment of escape on the sea and guarantees you a level of comfort that will delight the most demanding. To fully enjoy your holidays and enjoy the aquatic pleasure in all its splendour, it is more than judicious to favour the acquisition of a top-of-the-range yacht for sale. The larger models have a swimming pool, spa and cinema or gym for an extraordinary stay on the sea. On your ship, you will have a whole crew at your service. The staff will be able to go from 10 to 20 people depending on the size of the boat and will be composed of a captain, one or more chefs with their mates, bartenders, a personal coach for the gym and hostesses. A top-of-the-range yacht is also ideal for hosting your private parties and delighting your distinguished guests. To discover the exclusive models currently on the market, do not hesitate to contact a specialist in luxury boat sales. If a motor boat is perfect for travelling at sea, investing in a sailboat will help you discover the more sporty aspect of yachting. Its handling being more technical than a motor yacht, the piloting of a sailboat will make you feel unique sensations and travel in a different way. But also, the sea will make you feel this great feeling of freedom and space on board. During the summer months, it is very pleasant to enjoy the sun on a sailboat while exploring the most beautiful beaches on the coast. 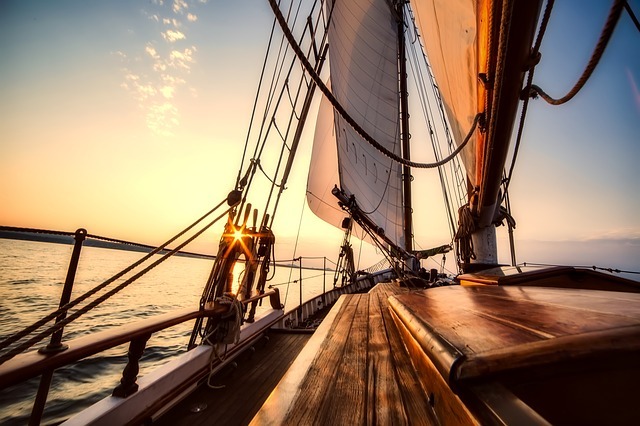 But before embarking on this adventure, ask yourself the right questions to identify the type of sailboat that will suit you best. If you plan to enjoy your sailboat in pairs and move from creek to creek, a thinner, faster and less technical model would be ideal. In other words, a more affordable and accessible model. If you are planning to sail long distances, a more spacious model that focuses on comfort on board is the best choice. You can then choose between a monohull or a catamaran according to your taste. You will find on my blog many articles about selling, buying or even renting a boat. I offer you information about navigation, boat maintenance, insurance… The objective of this blog is to share with you my experience and knowledge.